Earn up to 55 BKE Points Points. 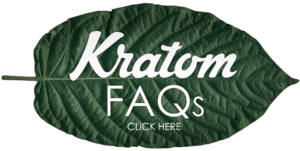 On the Indonesian island of Bali, the fertile soil produces some of the highest quality kratom available anywhere. The mature plants with the deep red veins are used to develop a powder with an alkaloid profile in perfect balance. Consumers often report that Club 13 Bali Red Powder is highly effective in relieving aches and pains. Others swear by its energy boosting power and its mood-balancing properties. 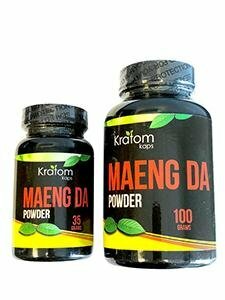 Like every product from Buy Kratom Extracts, Club 13 Bali Red Powder is 100 percent natural. While some people do ingest the powder straight with just water to wash it down, you can also stir it into your tea, shake, or another drink to get it down more easily. 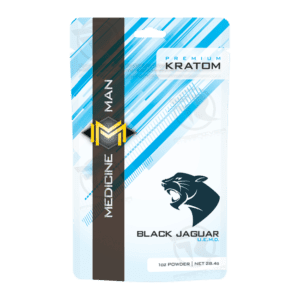 You may also need to play with the dosage, going up or down, to find the amount that gets you the most beneficial result. You want to start with a small amount and give it at least 30 minutes to feel the effects. Taking too much right away will not give you the outcome you’re hoping to achieve. Club 13 Bali Red Powder is available in two sizes: 30g and 90g, so you can choose the one that best fits your needs and your budget. This is especially helpful if you prefer to make your own capsules. 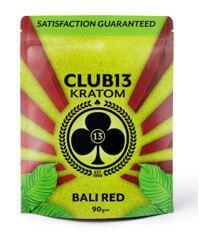 Whether you’ve taken kratom for a while or you’re looking to try something new, give Club 13 Bali Red Powder a try.